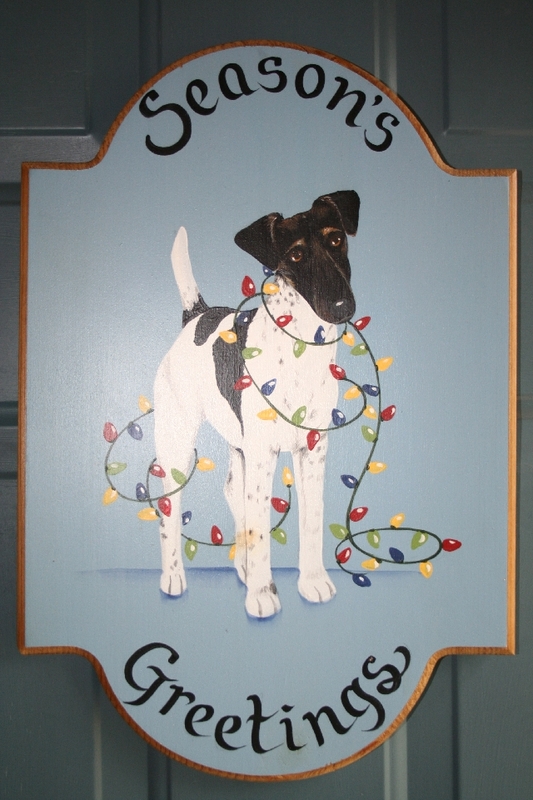 I love to decorate my home for the christmas holidays. I go totally overboard. My friends come over and they can’t believe it. Everyone wants to know how long it takes me to do it. A long time. 🙂 But I love it. My husband’s family comes every year and we have such a blast. We have a house full of people, kids and dogs. It is a huge party. We enjoy the intimacy and we enjoy the food! This year my decorations are the best ever, I can’t wait for the family to get here. Be sure to pop over to Karla’s Cottage tomorrow. She will have links to everyone that is posting pictures of what they love about their holiday home. Thanks for stopping by and I hope you enjoyed my holiday home! Hello! I loved your house! wish I was part of that party! You have soo many trees! I esp. Love the big white one! Is that a tree holder or a christmas tree skirt? It is just darling! I hope you and your family have a wonderful Christmas! Oh Wow! Oh Wow! You have so many cool collectibles! 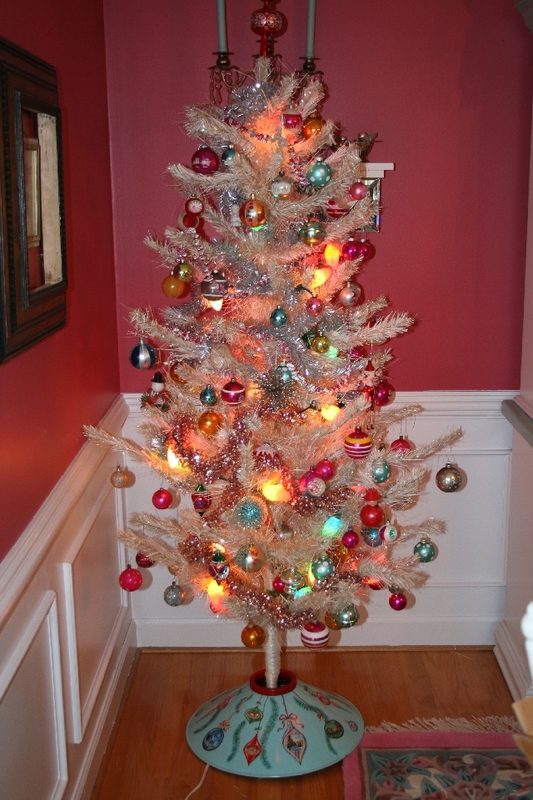 I love that Christmas tree stand in your first post! All of your trees are wonderful! Thanks so much for giving us a peek! You are the woman! I bow to you. Queen Suzy of the vintage holiday decor. It is all just so FABULOUS!! You have lots of beautiful decor! 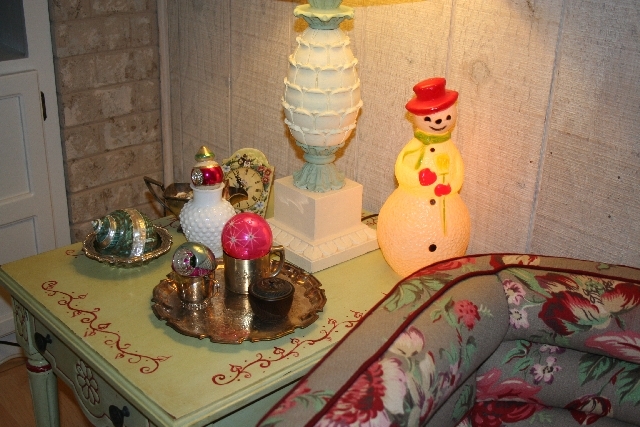 I especially like vintage Christmas decor too. 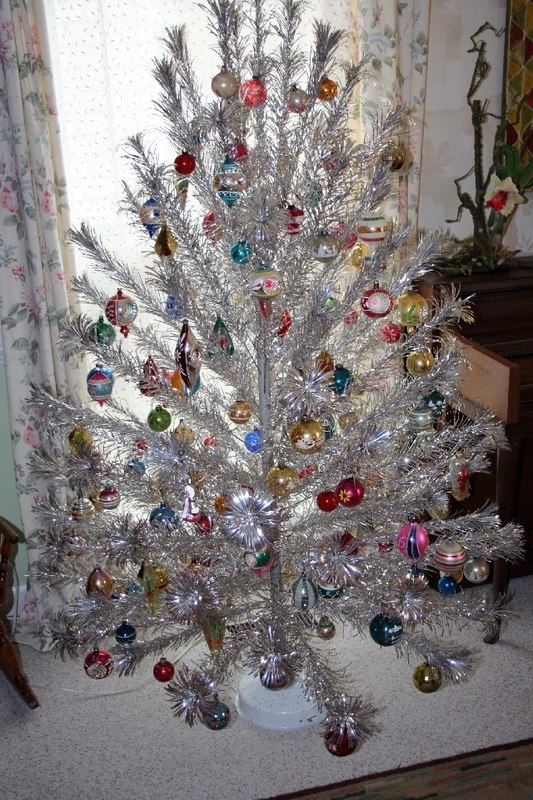 I have an aluminum pom-pom tree like yours, but I haven’t put it up yet this year! 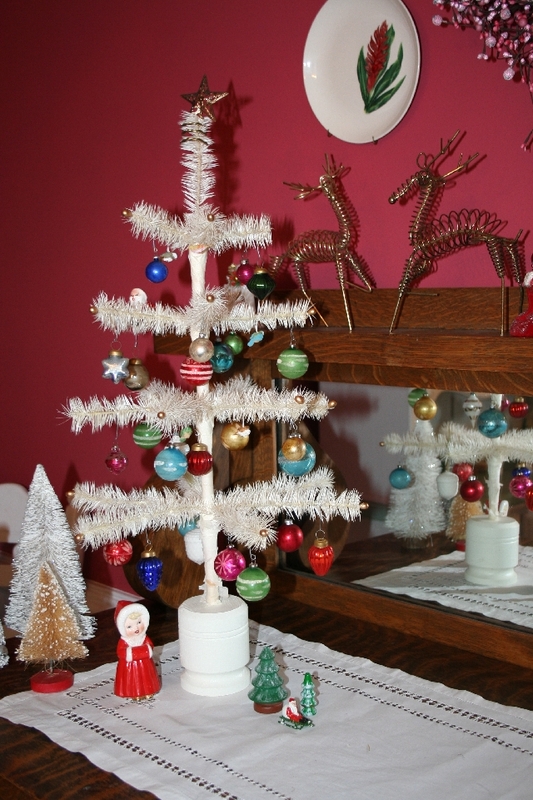 Thanks so much for sharing your lovely home decorated for Christmas!! 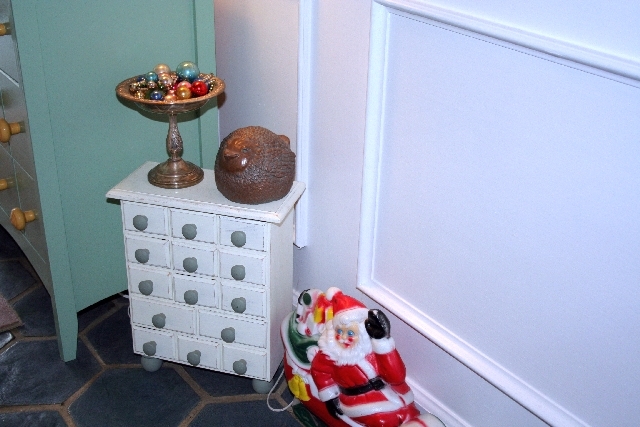 Your Christmas decor is FANTASTIC! 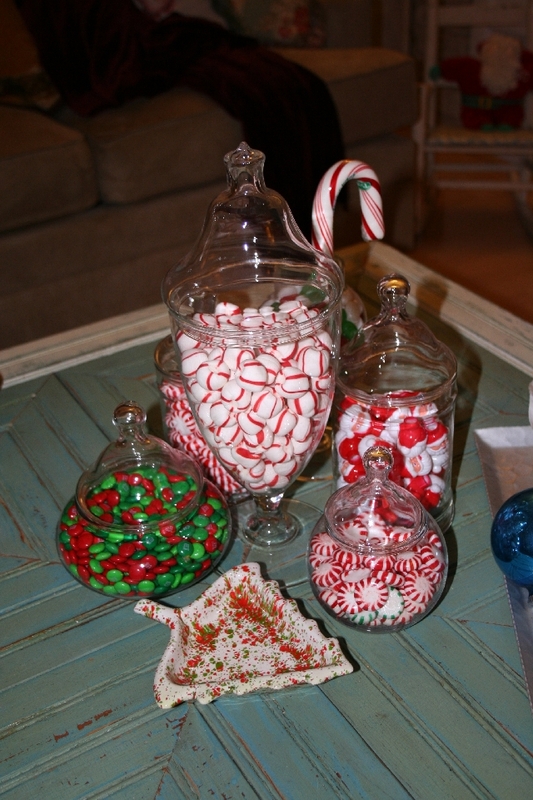 I love it all – great use of color and whimsy too! wowza!!! i love everything! i love your new banner those deer are awesome!! Love all your decorations! So pretty! Thanks for sharing. 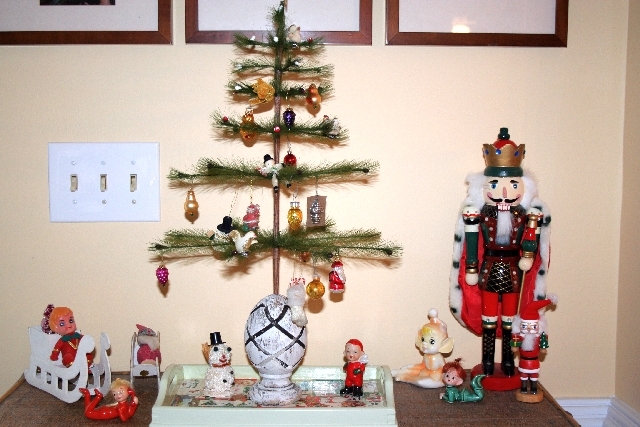 Love all of your vintage ornaments!! Very pretty! Merry Christmas!!! Absolutely gorgeous home. LOVE it all!! 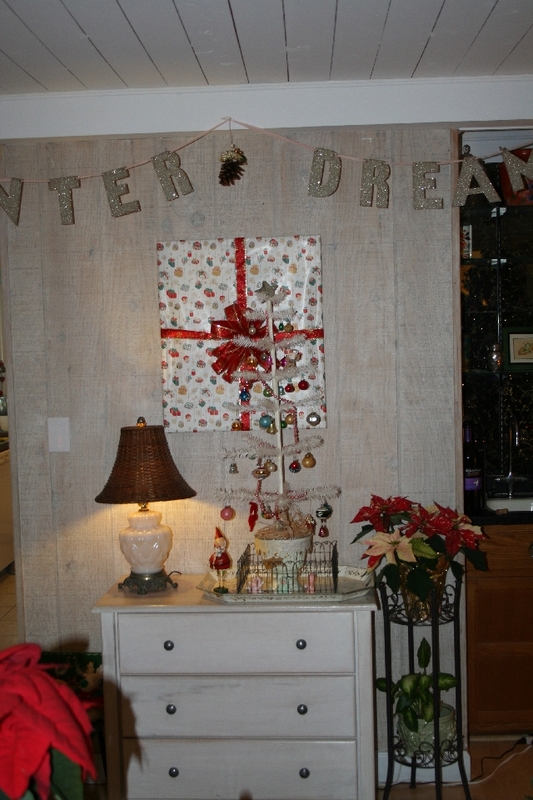 The colors and vintage goodies are fantastic and your wreaths below…wow!!! Thanks so much for sharing. Really enjoyed looking at your holiday home….thanks for sharing and have a great time looking thru the blog party later. Love all your wreaths and trees! What fun decorations! I esp. 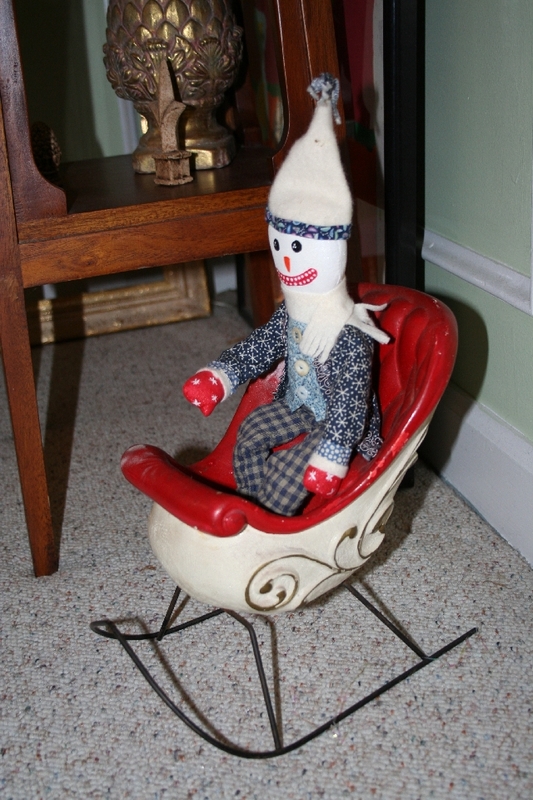 love the vintage like the Santa in his sleigh. I used to have something similar. Your family will love all of your decor. Absolutely beautiful, and so festive! I loved every single photo, and I’m sure that your guests love visiting your home! How beautiful! 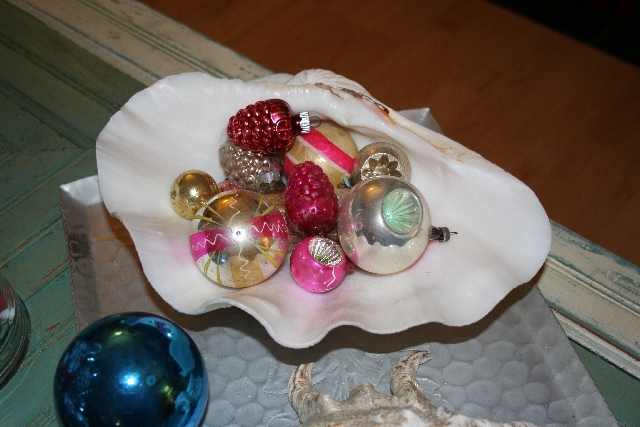 I love all of your wonderful vintage ornaments and decorations–how fun! 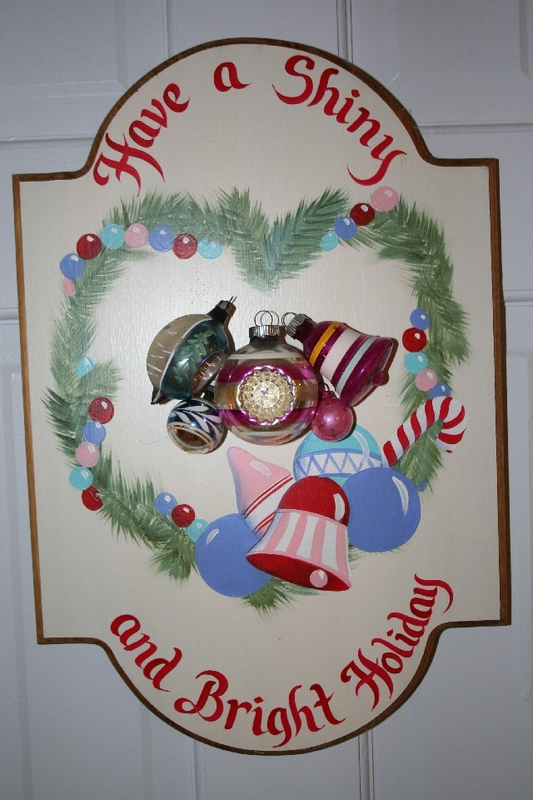 I so enjoyed looking thru all of your Christmas posts and I just love your ornament wreaths! Thank you! Merry Christmas! Oopps–it looks like it ate my post! 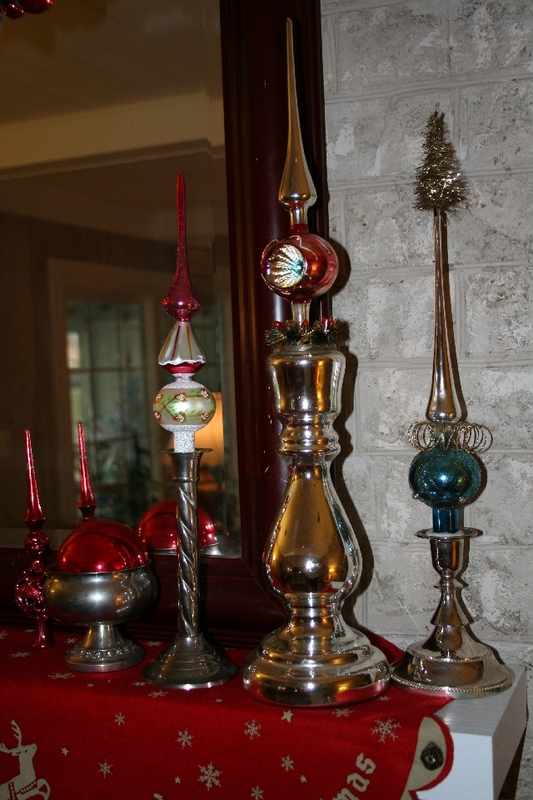 I love your home and all of your beautiful vintage ornaments and decorations. They are so fun! 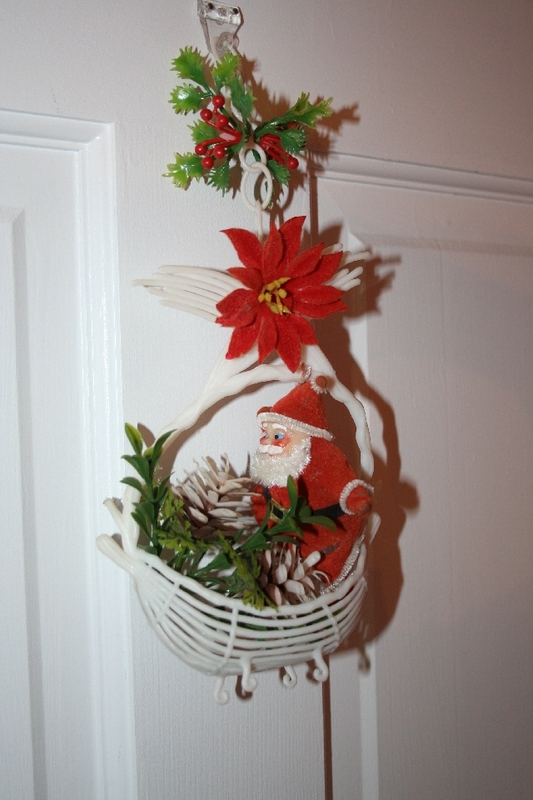 I’ve so enjoyed reading thru all of your Christmas posts and I just love your ornament wreaths! Thank you! Merry Christmas! such a delightful collection of Christmas goodies and a cozy setting..thank you for sharing..as always you have wonderful photos like paging thru a magazine! So fun Suzy! thanks for sharing! 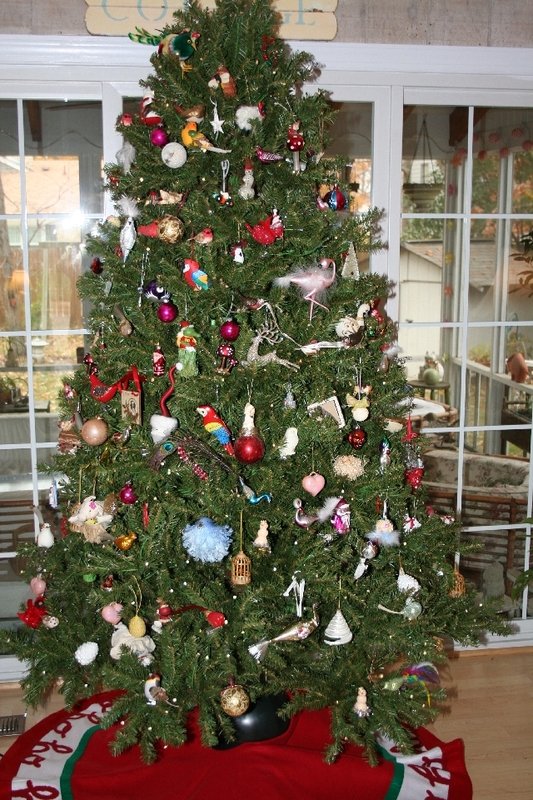 So many beautiful christmas trees and decorations in your house. It looks beautiful. Enjoy christmas with your family. Oh your family will be wowed! Everything is so perfectly beautiful! I am in love with the tree topper collection, it looks so stunning the way you have presented it! Love all the great color! All the wreaths are so colorful and pretty! 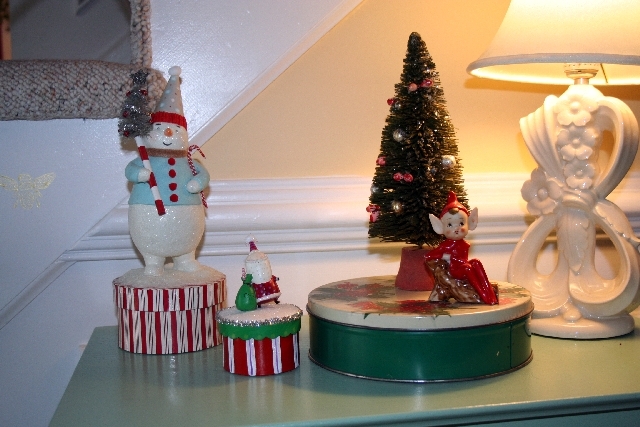 The vintage tree topper display is one of my favorites! And all those trees…..WOW! Just beautiful! Thank you for letting us tour your holiday home! 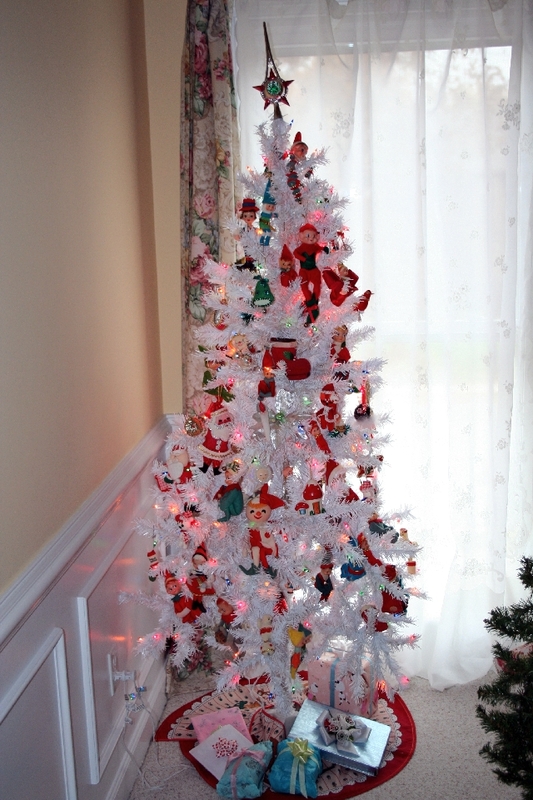 I LOVE LOVE LOVE your tree toppers in the silver and your elf tree, so cool! You are the queen of shiny brites! Thanks for sharing it was fantastic. Wow, your home is so fun! Love it! I love your mantel display. 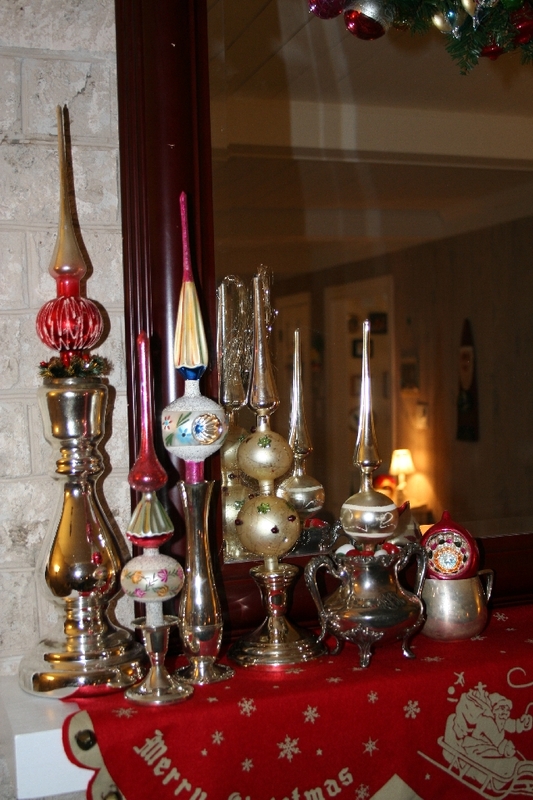 The ornaments in silver vases, teapots, etc is exquisite. What wonderful pictures, one after the other. Your house is beautiful. Thank you for such a delightful look at your beautiful holiday decor. How many trees do you have? They are all very special. 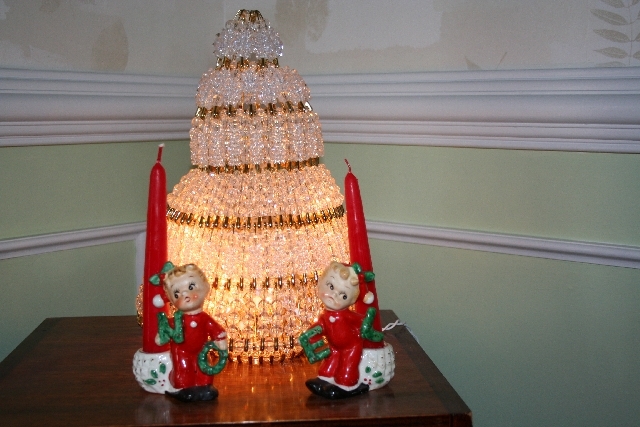 The vintage ornaments give them a special glow. I love it all! And how many trees are there, five? My husband is freaking out because I want to have more than one! Ha! I think your home looks awesome! Your decorations are just gorgeous! I can tell you put a lot of time and love into them. It definitely helps put me in the holiday spirit!